Well, that post about pattern making classes brought out a lot of people! I had no idea my blog had so many readers from this very country. As a result, I thought it might be a good idea to sum up the available sources of education. I only have real information about institutions here in the Netherlands. In the comments to the previous post, Jo Ashcroft and Belle Megan told about their experiences with courses in New Zealand and the UK respectively. If you live anywhere near them, I recommend checking those out. I would also love for any one who has anything to add about pattern making courses to do so in the comments to this post. To start the line-up, I googled the City & Guild course mentioned by Belle Megan and found this site. Not being a UK resident, I don't really know anything about this but there seems to be a wide range of courses available, in all kinds of fields. Even including pattern making. All the following links are about Dutch institutions, most of which don't have an English version to their website. All three have been around for decades (I'm pretty sure all of them were already there in the 1950's…) and they all offer both professional courses which teach seamstresses of many different skill levels as well as hobby courses. 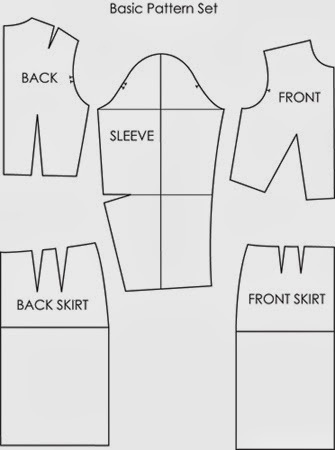 At all of them, pattern making is a part of the professional courses. Rotterdamse Snijschool teaches at its own venue in the city of Rotterdam. Both other institutions work with a system of teachers who are graduates of their own top-level course. Those are independent entrepreneurs teaching from the system's curriculum in their own studios. Exams are usually held annually in one location. 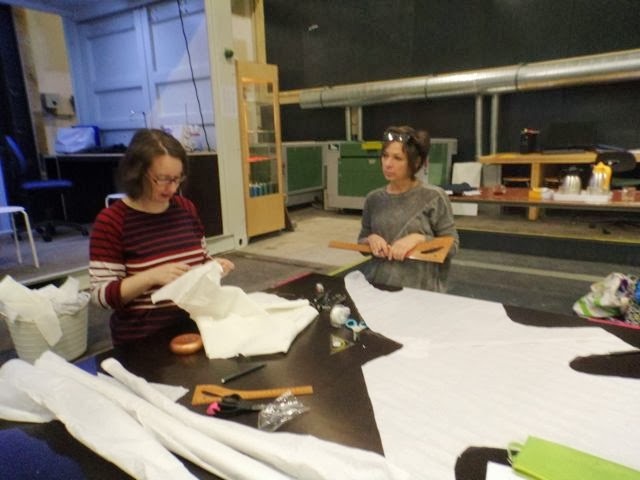 Because Ensaid and Dankaerts teachers work independently, you may be able to find one who will teach some pattern making even if you don't want to do the professional course. The first one is an independent institute for fashion education which has been around in one way or another since 1937. Nowadays, it allows students to pick from a wide range of courses, some of which can be combined for specific diplomas. The focus is mostly on styling and design but there is a separate course in pattern making available. Sewing is not taught separately. The Meesteropleiding has only been around since 2011. 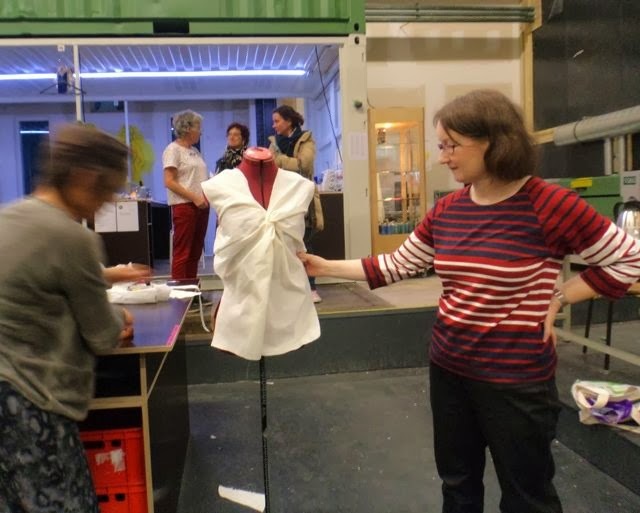 It is designed to be a hard-core sewing and pattern making education, which produces highly skilled craftspeople for the sewing studios of theatre companies and couture houses. They also offer short courses, some of which seem to be geared towards the enthusiastic amateur and some of those include pattern making. As far as I know, those are all the institutions (outside of the regular MBO and HBO educations, that vocational education and college of the non-Dutch) which teach pattern making in the Netherlands. From this little line-up, you may already have noticed that if you live outside the Randstad and you are looking for a course, you are likely to find only Ensaid and/or Dankaerts courses near you. Of course, there are also sewing and pattern making teachers who are not connected to any institution. Of course, the problem with those is that there is no way to know how good they are and what they can teach you before you try out their lessons. The Rotterdamse Snijschool and the two institutions in Amsterdam have annual open days and I think any teacher should allow potential students to try out a lesson before they commit to a whole course (if you even have to do so. Some teachers allow students to pay per lesson). I hope this is helpful and if you have anything to add, please comment. Can I interest you in a bit of rant? Or maybe a bit of a lecture? 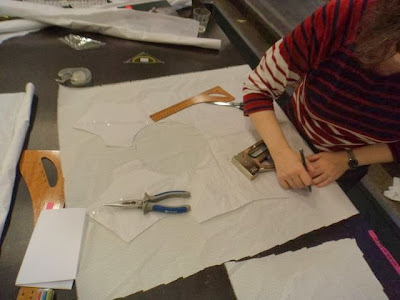 It's about something I learned while teaching at iFabrica: the teaching of pattern making (here in the Netherlands at least). 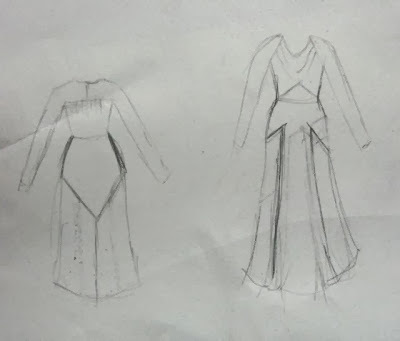 My students-for-two-days were both interested in pattern making but where they lived, they could only learn it as a part of a three year course intended for the wannabe professional dress maker. Not an attractive prospect for a hobby seamstress who just wants to make well fitting clothes to her own design for herself. And one of the ladies who worked at iFabrica had actually done that particular course but told me she didn't feel confident drafting patterns at all. And she had never been taught to make her own designs. I was surprised at all that. 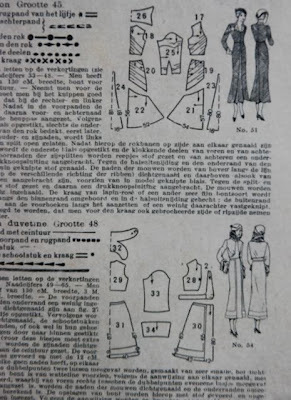 When I wanted to learn pattern making, I found M, here in The Hague. An experienced designer and pattern maker who also taught drafting to small groups of interested amateurs. 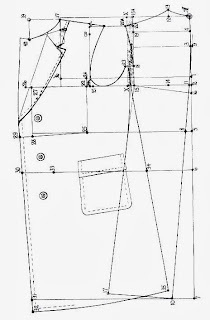 My earliest training in drafting patterns was about making slopers to my measurements and then coming up with designs based on those. Of course, I was a very enthusiastic student and got in loads of practice over a relatively short time. 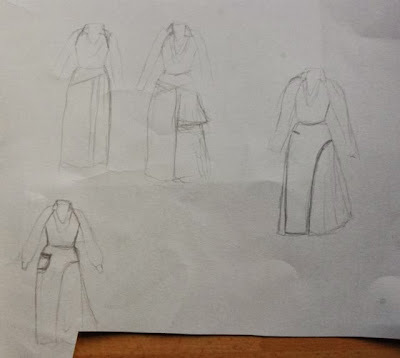 The whole thing gave me what I would consider a well-informed can-do attitude towards both designing my own clothes and drafting the patterns for them. Now, it seems like I've just been very lucky. 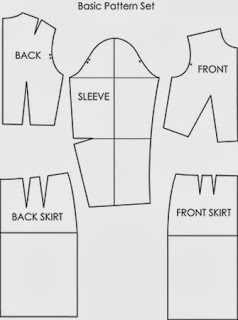 Most people looking for pattern making lessons are confronted with extensive education programs involving thick books with separate slopers for all kinds of garments (which I don't think you need…). Education focussed on teaching rules rather than on developing insight and building skill. And not targeted at those who just want to expand their options when sewing for themselves. Apparently, pattern making courses are like that all over the country. I kind of knew there were a couple of institutions teaching sewing and pattern making, I didn't know they were so dominant. P.S. 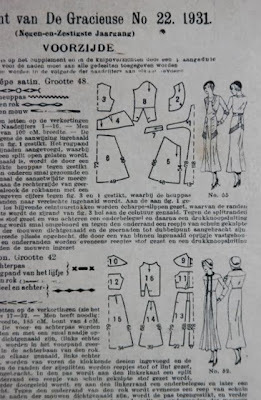 Of course, I know there's a wealth of information on pattern making to be found both online and in books. However, and I am speaking from personal experience here as well, a bit of real-life teaching makes it much easier to get started. Progress on the green crepe dress has been slow and steady. It seems like I have to agonize over every detail with this one. By now, the outside of the dress is fully assembled. 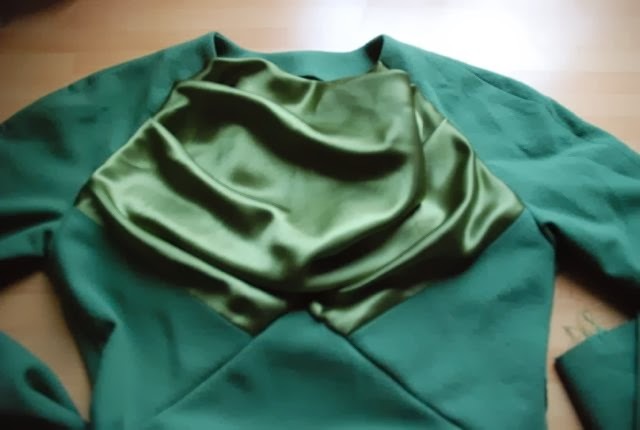 Cutting the cowl/center from bodice from a different fabric allowed me to cut the dress from the green crepe I had without compromising skirt flare or sleeve length. It also allowed me to make a very full cowl shape with pleats and to cut a full lining for the front bodice on it. Which is practical because you very easily get to see the inside of a cowl. I had my doubts about using satin (even though this is a silk one) on account of its thin-ness and shine, but I'm glad I did. I could only do the lining-thing because it's so thin and the shine, confined as it is to just a small part of the dress, is actually fairly chic. The green wool crepe is joy to work with. Soft and drapey and easy to mold into shape but not so much so that pieces lose their shape the moment they are cut. I love it. Someone warned me in the comments to an earlier post about wool crepe being scratchy but her experience must have been with a different variety. This stuff pillow-y and soft with just a hint of that distinctive wool prickle. Right now, I'm still not done obsessing over lining. 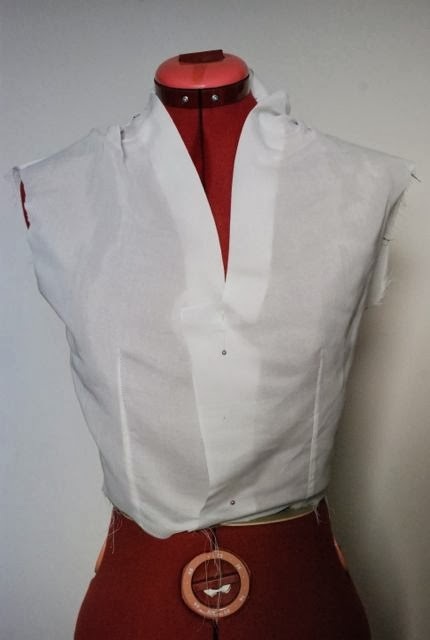 Earlier in construction, I had already decided the fabric didn't feel scratchy to me and lining would make those long slim sleeves uncomfortably bulky and rigid. So, the sleeves and back bodice are unlined. I already explained the treatment of the front bodice. Now, I just have the skirt to worry about. I think I should line it because this fabric will cling to any tights or stockings worn under it if I don't. I thought I had enough of satin left over for a skirt lining (which will be a plain and straighter version of the skirt. just side seams, no insert) but the piece was just too short in one place. That's what you get for cutting anything, let alone a rather large double front piece, on the bias. Oh, and I thought about how this lining issue was dealt with in the past. You know, in the eras from which I take inspiration for a dress like this. 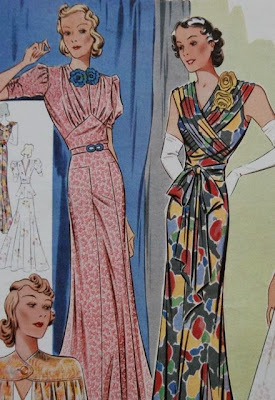 My 1930's magazines only ever mention linings for coats or for visible details like draped necklines or scarves. In the 1950's lining the bodice wasn't unusual, lining the skirt was. Of course, all of this has to do with the changes in underwear. Ladies back then would have worn their dresses over a bra, girdle and full slip. With big fully petticoats thrown in for full skirted 50's dresses. These past two Sundays, I've been teaching Pattern Magic at iFabrica in Amsterdam. As I announced before, it was a two day course. Participants had to have some sewing experience and it was my aim to let them get to grips with Pattern Magic. I've heard so often (both online and in real life) from people who own and admire the books, but are too intimidated or puzzled to make anything from them. That was the main thing I wanted to tackle in this course. Judging from the reactions I got, I think that worked. Both of the ladies who signed up for this course, and both ladies from iFabrica who took part as well, were, nice enthusiastic people who wanted to be able to incorporate Pattern Magic designs into their sewing. On the first day, we made slopers (not the Bunka block. I don't think a waist-length sloper is very practical on its own) via a shortcut. My regular pattern making book contains slopers in standard sizes on tracing sheets. We used those and altered them to fit each individual. Much faster than drafting from scratch. Because the group was small, dividing attention was not a problem. So, everyone could pick their own project to work on. Drafting those started on the first day and continued yesterday. The was not enough time for finished products but everyone's patterns were finished and tested so I have no doubts those will become great garments. I've thoroughly enjoyed the experience, and I hope that counts for everyone. I've got another course coming up next month. It's one day and it's about upcycling and making bags and you can still sign up. Are you still interested in the 1930's inspired dress I want to make from my green wool crepe? Anyway, I sewed up a muslin today. 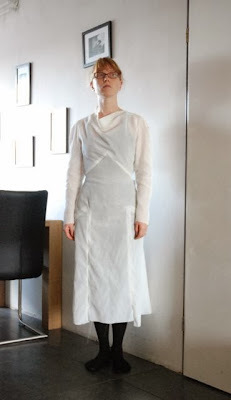 Because I was afraid my pattern might be too large for the amount of fabric I had, I measured out the muslin fabric carefully: no more than 2 meters, at 140 cm wide. It took some tetris skills, but I managed to get all of the pieces out that. The only real sacrifice was having to reduce the flare of the inserted skirt piece. I was a bit worried about that, but decided to have a look. Looking at the dress now, I don't mind the slight flare of the skirt. And I like the pointed shape of the inserts. I don't really care for the neckline though. I let the front sleeve meet the neckline at the shoulder seam and the cowl neck connects at that point too. I think that combination makes the upper bodice look to high and square. I will have to re-do the front bodice and top of the sleeve. I'll put the raglan seam lower in the bodice and make the cowl neck a bit deeper. And of course, the real fabric has a lot more drape than this stuff I'm using for the muslin. I may narrow the lower sleeves a bit, but I'm still considering that. Normally, I don't make dresses with long sleeves. I'm always afraid that would make them look really frumpy. In this case, I was following the inspiration from the 1930's: narrow long sleeves. And I think it works with this silhouette. Oh, and there two things not quite right in these pictures which don't worry me: the hem (result of the improvised skirt insert pattern piece) and the odd bulge in the back (I paid attention to pinning the side opening before taking pictures but I was mostly paying attention to the skirt and of course, I could only see the front of the dress). And then there's something else to consider. 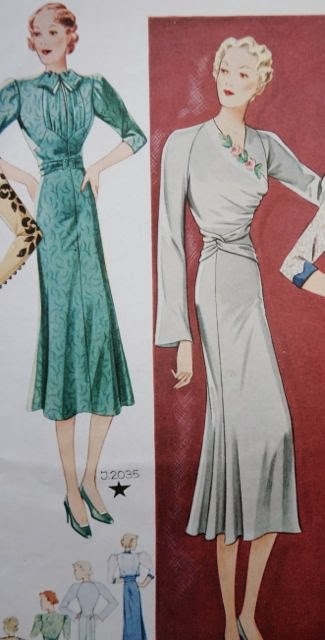 Using two fabrics, or both sides of silk crepe satin, in one dress was very common in the 1930's and I just happen to have some satin (supposedly silk, but I didn't test) which matches the colour of my wool crepe. It's thin and shiny so I don't want to use it in large surfaces or in fitted parts of the dress. But it might be very nice for that draped neckline. Using a different fabric for that would allow me to make it wider and maybe put some pleats in. I knew about that matching fabric before but I'm only considering it seriously now. What do you think? 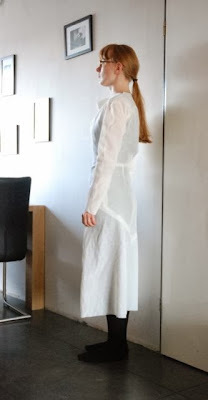 I've just finished the pattern for my 1930's inspired wool crepe dress. And I suspect it will take too much fabric. 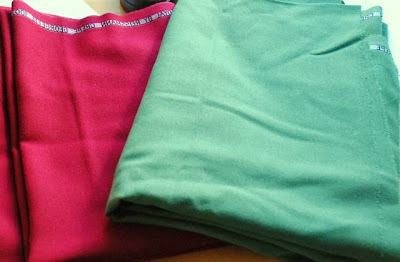 I'm going to make a muslin before I cut into that lovely green fabric, so I will get a chance to test that. This is the design I went with in the end (the front is at the right side, the back at the left). 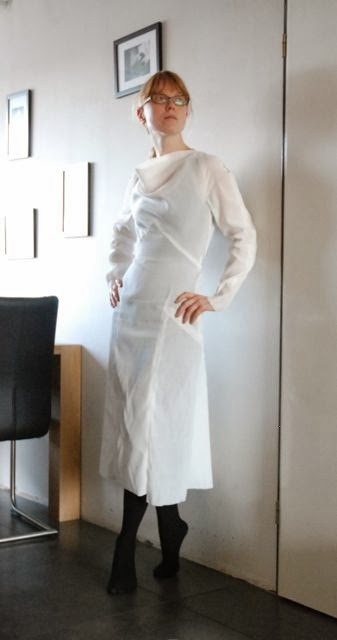 It has the raglan sleeves and cowl neck I thought of before and a 1930's style skirt: slim and with interesting design lines. The sleeves form a back yoke which holds the gathers of the back bodice. If the pattern turns out to be too large, it's the skirt that will suffer. I want that bodice so I may have to switch to a simpler skirt design. Gores or a modest A-line, I think. I think I've also found out why this dress is taking me so long: I kind of decided to go with a 1930's look and I'm really unfamiliar with that silhouette. As a result, I keep second-guessing every detail. Of course I use one of those patterns I have, but they all take more fabric than I have. I have been looking at patterns though. Just to find out more about how these wonderful slender shapes really work. 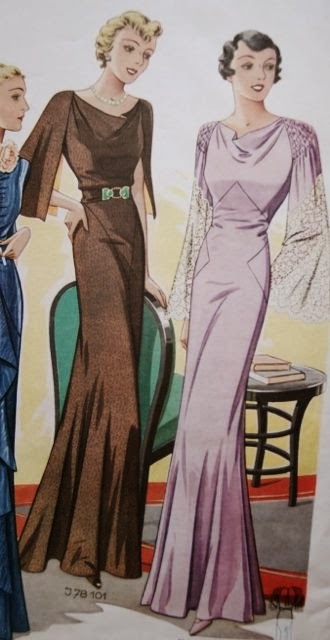 These pictures all come from Gracieuse magazine from 1931. As you may have noticed in my 1930's inspiration post (the previous one), there are subtle changes to the silhouette over the decade. 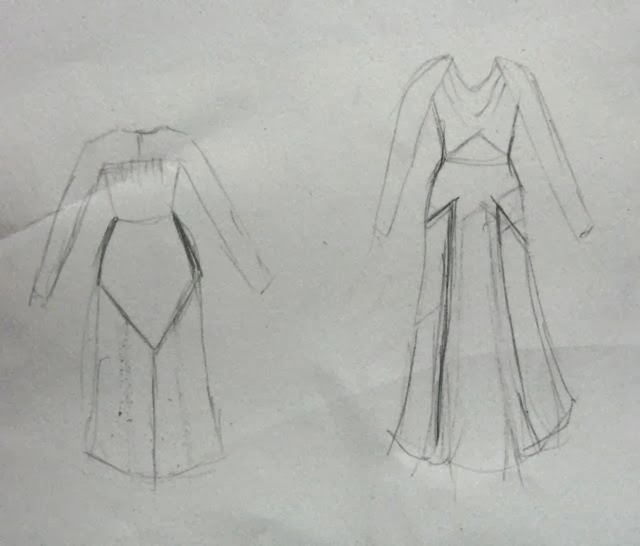 I didn't put those pictures in chronological order so it wasn't very clear but in the early years, bodices are still a bit blousey, especially at the waist. This gradually changes into the streamlined-with-shoulder-pads look. In 1931, the defined waist was still a bit of novelty and the commentary in magazines considers the bodices of these dresses to be quite fitted. I was quite interested in the technicalities of these designs. In most pictures, those skirts look like they've been cut on the bias. 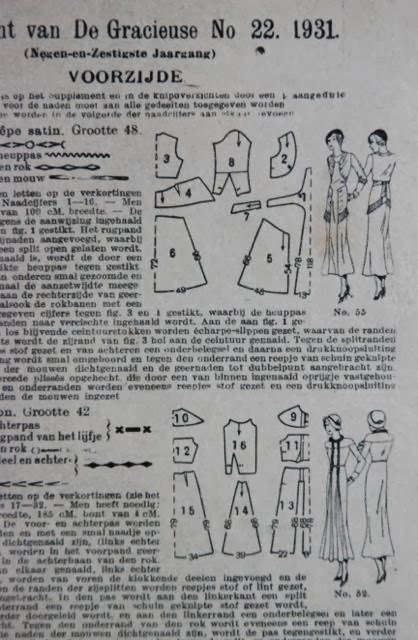 According to these drawings of the pattern pieces to some 1931 dresses, they are not. The skirts are either A-line or they have flared inserts from fairly long hip yokes. The vast majority of dresses will have at least one horizontal seam, which may or may not be at the waist. Darts are rare and double ended darts are nonexistent. 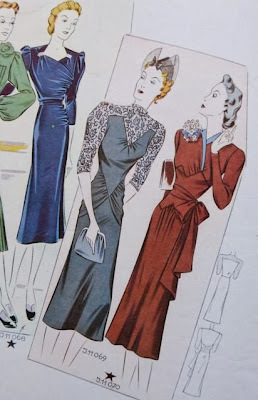 As these designs are from 1931, even the fashion drawings still show some blousing at the waistline. This is held in place by belts or (partial) ties. I suspect these dresses were not really that fitted at the waist. For my pattern, I'm cheating at that. The design is as fitted at the waist as my dresses usually are and I needed to keep the back darts in the skirt to make that possible. I' teaching the first part of my first Pattern Magic course tomorrow, so won't have time for a muslin until next week. I'll show it to you as soon as it's ready. Warning! This is going to be a picture-heavy post. All the pictures are from the 1930's and they all come from the magazine La Femme Elegante. If you look closely, you may notice the changing silhouette over the decade. I'm going to group the pictures by look category. Most have gathers or pleats at those raglan seams and there are no collars in sight. I'm not one for big bows or ruching but I do like these big drapes controlled by buttons. But, let's explain first. I'm really good at find decent fabric at modest prices and I make the vast majority of my clothes from such fabrics. Whenever a local fabric store has it's annual sale though, I'll try and buy something special. Something I wouldn't normally be able to find. When, over a year ago, the largest local fabric store, Toetenel, was closing down, they held a sale to get rid of all their old stock. Yes, all of it. I didn't even buy much but what I bought was great stuff. Three pieces of wool crepe and three pieces of silk. And ever since, I've been afraid to cut into these. They're just so beautiful and so different from my usual fabrics and if I messed them up, I could never replace them unless I was willing to pay a lot more…. These are the two colored pieces of wool crepe, green and raspberry, two meters each, at 140 cm wide (the third piece is a heavier black crepe). 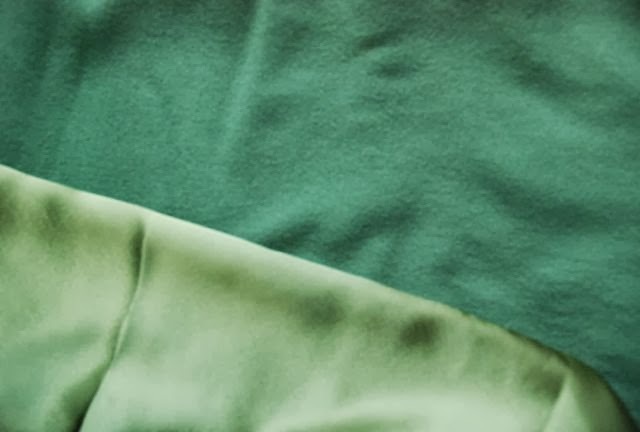 They've become 'Holy Grail fabrics'…..
And last week, when I pulled them out of the drawer (which has moth-repellent stuff throughout) to gaze at them lovingly, I noticed a small moth-hole in the green crepe. Of course, I put all these lovely fabrics straight in the freezer to get rid of any remaining creepy crawlies. I did get the message though: if I don't sew with them, I may lose these wonderful fabrics in some other way, which is much, much worse than taking the risk of a garment turning out less-than-fabulous. So, now I'm trying to decide what to make from the green wool crepe. A dress comes to mind, of course. Lately, vaguely 50's dresses always seem to be the first to come to my mind. 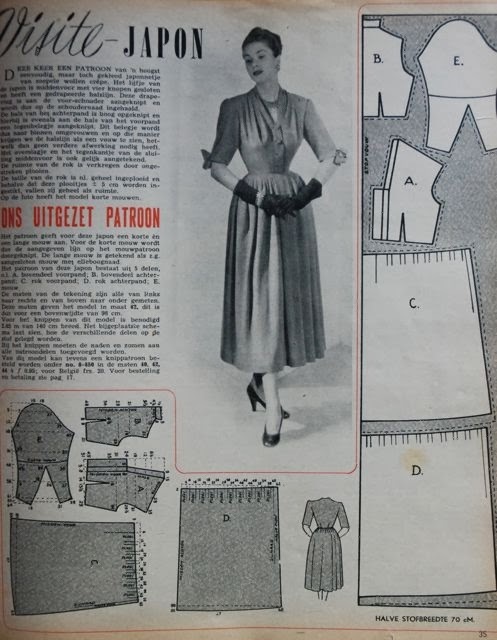 I thought about copying this dress, from Margriet magazine from 1950. It is described as a 'visiting dress' and it's meant to be made from wool crepe! 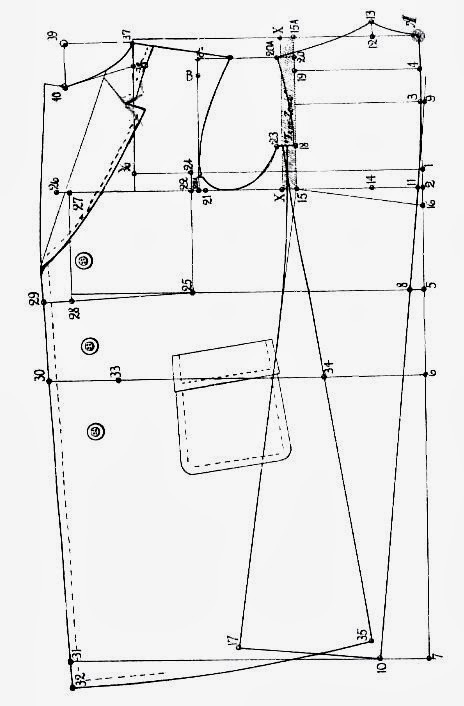 The pattern diagram is pretty much useless to me because it's for their size 42, which has a 98 cm bust (just over 10 cm more than mine…). I tried to get close to it by drafting from my trusty sloper. Because I had my doubts, I made a muslin of the bodice. Bleh. The gathers are there, they just won't behave like I want them to. Even without the weight of a sleeve, the gathers just get pulled open into stupid random 'roominess' far before reaching chest level. I have drawn up the bodice pieces from the diagram as well and plan to muslin those too, just to see if they're any better. I fear the worst though. Free patterns in magazines are often sloppily made, in the 1950's as much as today. If I can't make the upper bodice look like it does in the picture, I don't think I'll risk my beautiful crepe on this pattern. Like this cowl neck with added pleat. 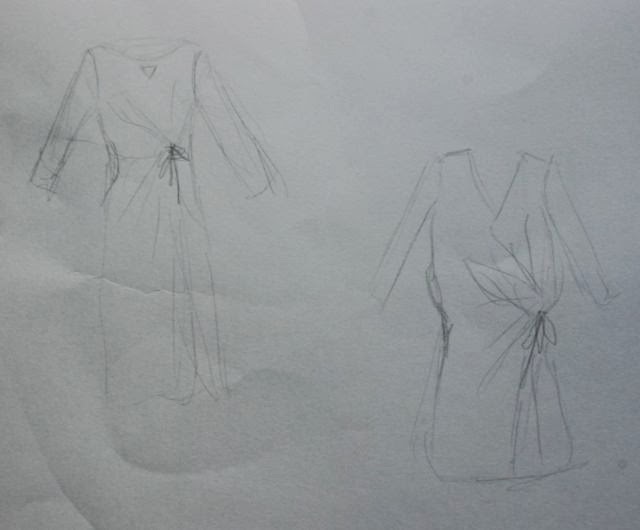 I thought about back yoke and a collar and doodled a bit to find an appropriate skirt shape. I sort of settled on the narrow skirt with the gathered section. And I considered a pocket. I'd like one, but for wool, this fabric is thin and delicate. Again, I kind of liked the ideas, but not enough. So, sketched one of my old 'how to use Pattern Magic' ideas. A dress with a 'tying a bow' feature at the side front which does all the shaping. 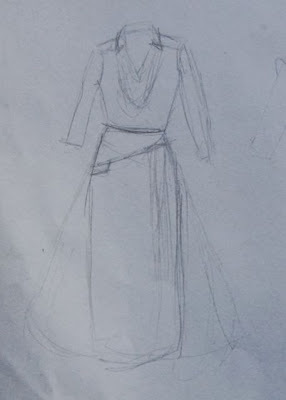 Either, sticking with my usual silhouette, at the waistline, or, in a 1920's inspired way, a bit lower. So, this is where I'm at now. I'm going to study my 1930's and 1940's magazines for inspiration because I think this fabric suits the styles from that era. Hopefully that will help a bit. 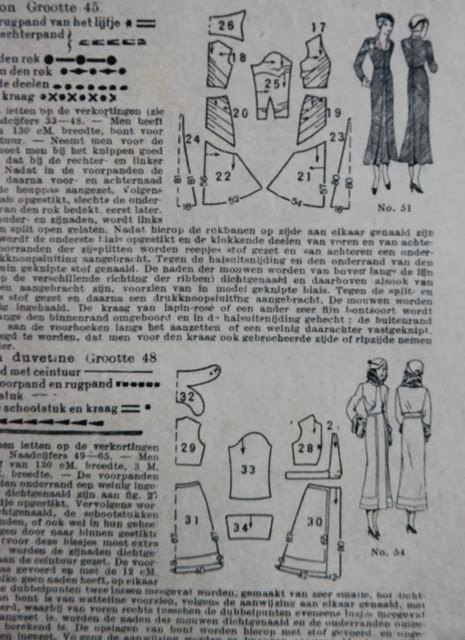 Are you familiar with the Dutch sewing magazine Knipmode? You may have read about it on Melissa's blog, Fehrtrade. And she may not be the only not-Dutch seamstress who likes this magazine. In that case, there might be some change ahead: Knipmode's publisher, Sanoma (sorry, this link goes to a Dutch-only page on their site), has just announced a massive reorganization. Their portfolio of about 50 magazine titles will be reduced to just 17 over the coming year. With those 17, they are focussing on specific parts of the market. The remaining titles will be sold or (if they haven't been sold by the end os 2014) they may be merged and continue in a different form. If any of you out there are fans of the magazine, I'll try to keep you up-to-date! P.S. In completely unrelated news: Both my courses at iFabrica have two participants now, which is the required minimum number. So, both are definitely going to happen. And you can still sign up. The Pattern Magic one starts next Sunday and has its second day a week later. The up-cycling and bag-making course is a one day thing and it will be held on 15 December. Oh, and of course, especially with these small groups, it's not a problem if you don't speak Dutch. P.P.S. I know I haven't been alone in missing the Pattern School website since it went offline months ago. My searches never uncovered any corners of the internet where copies might still exist… Until I was reading Fashion Incubator a little while ago and clicked a link about 'grading for knits'. It brought me here, which is a place all of us, Pattern School fans, will recognize. I'm going to change the link in my sidebar right now.